fabric pattern with a motif of small dots. Created by the use of yarns in contrasting colours in the warp only or in the warp and weft, with a relation of 1:1 or 2:2; in linen, twill or crepe weave. 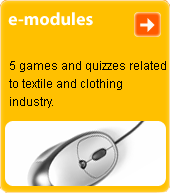 Its typical application is in woollen fabrics from worsted yarns. Used for men's suits and ladies' dresses and suits. The name is given by its grey-and-white appearance, which is reminiscent of spilt p. and s.